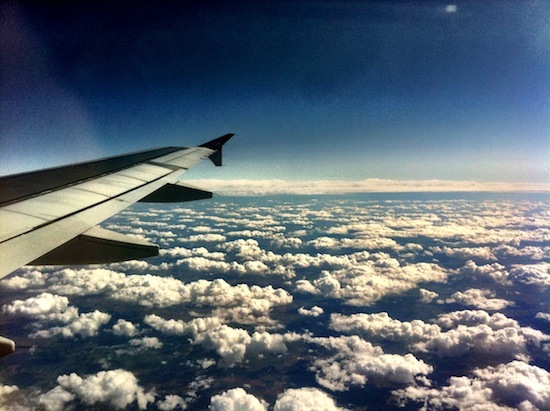 I was so blessed this past week to go to Los Angeles California with my husband on a business trip! My hubby works for a group of web designers called "Fixel", and the awesome part is...They are all amazingly talented Men of God that use their gifts and talents for the Lord! I was so excited about this trip for a few reasons... One being that I've never been to California, second being that I was going to meet the men my husband works with every day, (they are all based out of Oregon, but Sean does his work from home, and skypes with them), and last but not least, I was going to meet all of the wives of the Fixel guys! 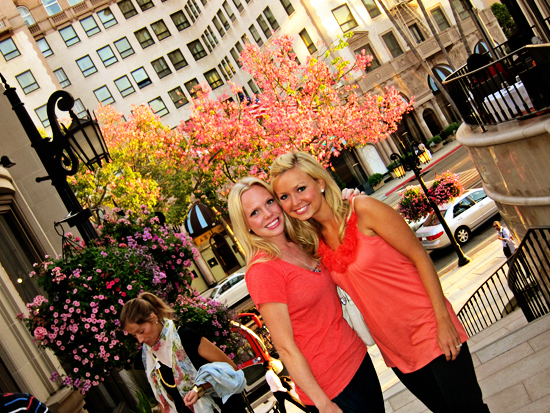 We rented a home in downtown Pasadena, which was such a fun area! 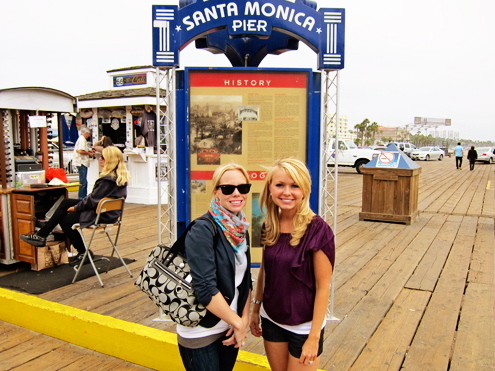 We were pretty close to all of the 'main attractions' which included Rodeo Drive, Hollywood, and the Santa Monica Pier...All of which we visited during the week! 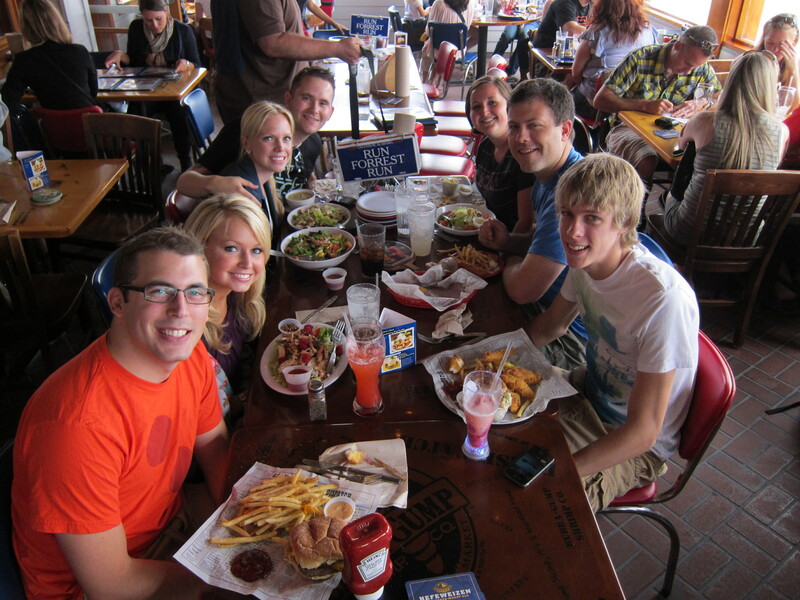 After meeting the gang, we were all really hungry so we hit up a restaurant we knew would be a quick 'crowd pleaser', Applebees! I got the Grilled Dijon Chicken and Portabello's, (on the under 550 menu), and it was amazing! It had a delicious chicken breast with asiago cheddar sauce, and sautéed onions and mushrooms piled on top~ I highly recommend it! 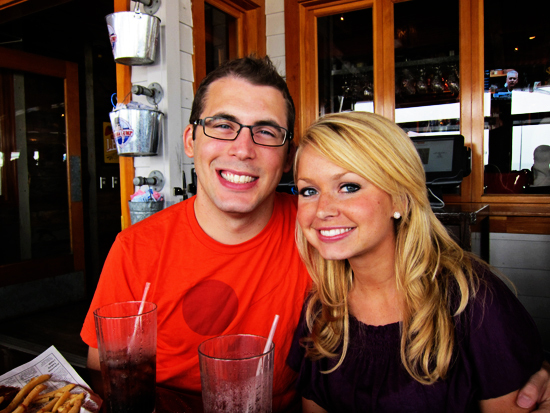 Here is Vin, who is another web designer, and his wife Kesha! 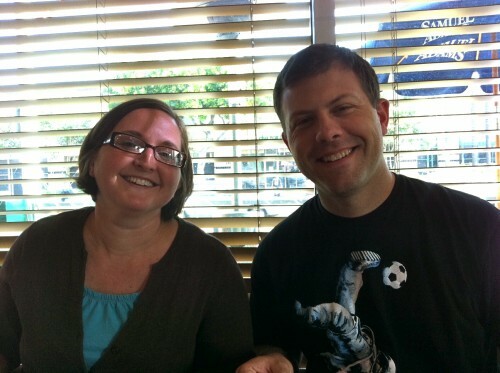 Matt is the project manager of the Fixel team, and here is his wife Angie! 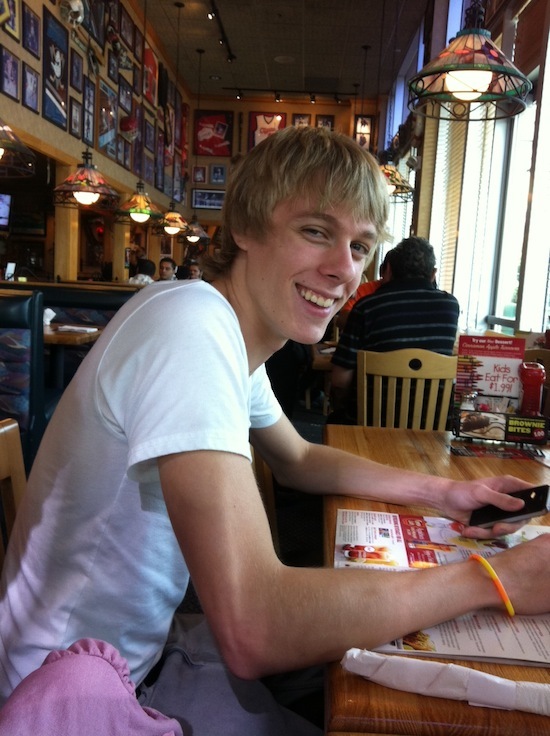 Last but not least, here is Dan. He's the coder and developer of the team! He is only 18 years old, so he isn't married yet, but I must say, he's quite the mature and driven 18 year old! 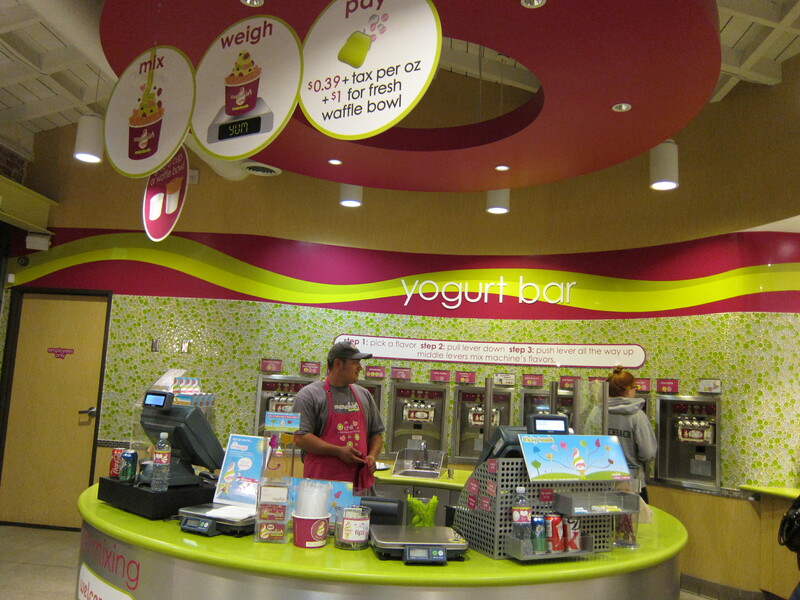 After dinner, we were all searching for something sweet....so we went on a frozen yogurt hunt! 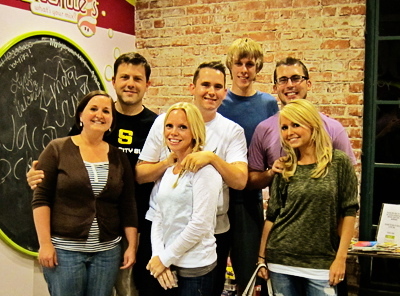 Here is The Fixel team together at Menchies! We had too much fun here! 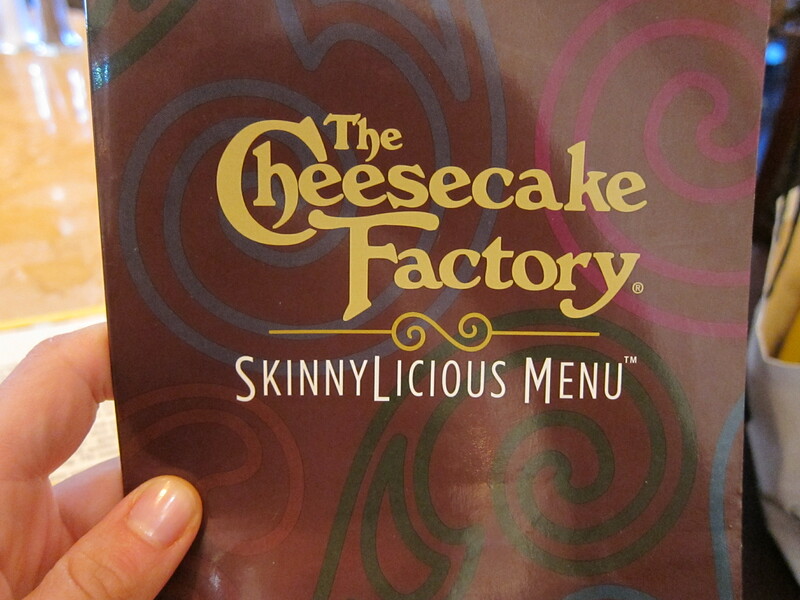 We made our way over to The Cheesecake Factory for lunch, and we were all pleasantly surprised by the new Skinnylicious Menu! 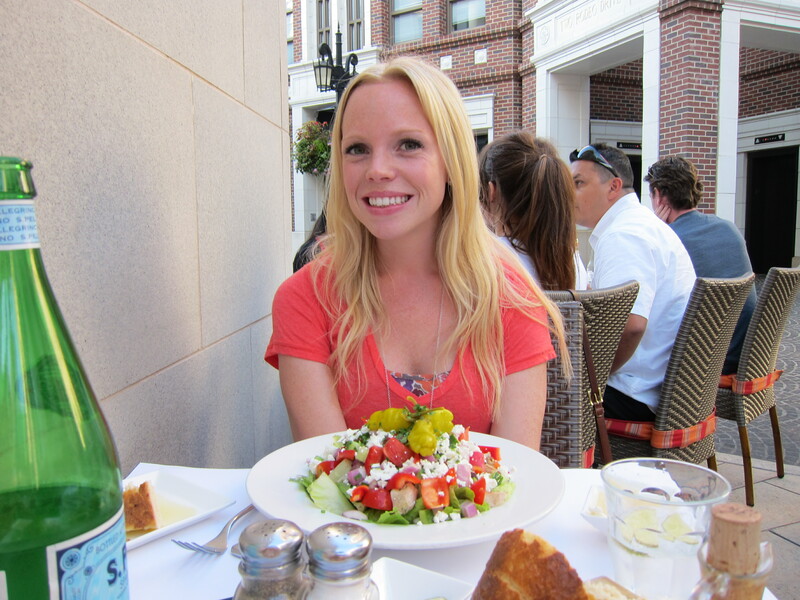 It was amazing...The entire menu had so many of choices, all for under 600 calories! There were so many good choices in fact, that I was overwhelmed! So ended up getting my usual favorite, the Asian Chicken Salad....But I for sure had my eye on the lettuce wraps, turkey burger, and red velvet skinny cheesecake for when I visit in the future! I just loved hanging out with the girls! 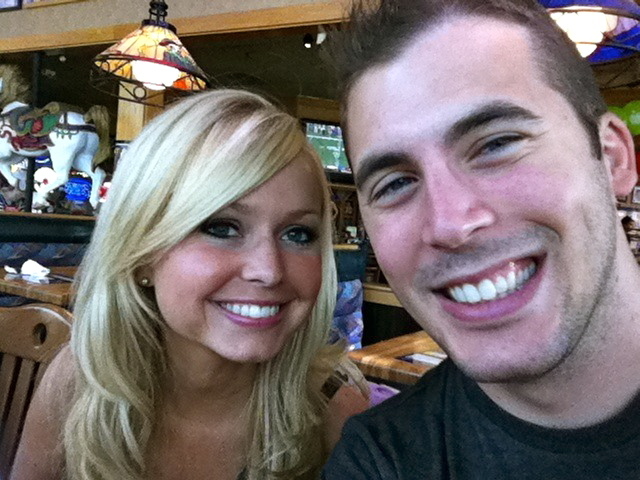 We were talking so much that it took us about an hour to finish every meal! Needless to say, we had a lot in common! 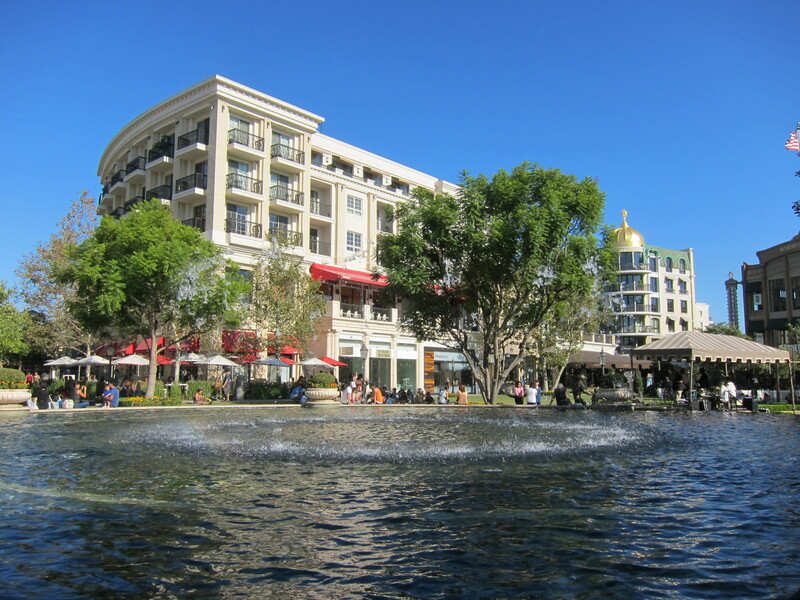 Every shopping area was beautiful, but this was one of my favorites~ the out door shopping area in downtown Pasadena! 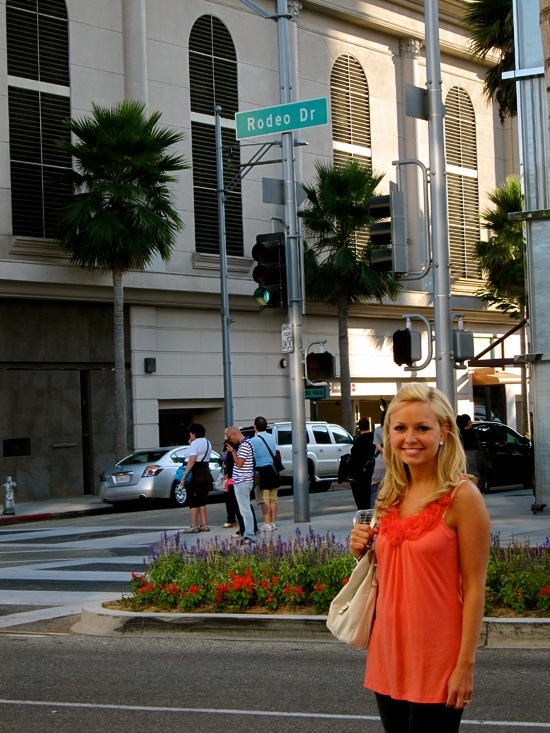 The next day Kesha and went to Rodeo Drive, where we did some more shopping, and marveled at the beauty of the area! 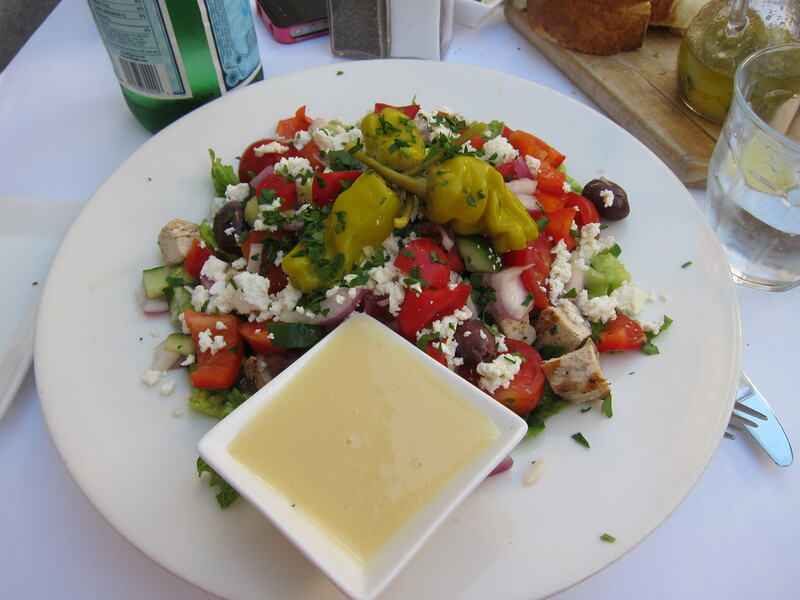 We went to a little cafe, where we enjoyed one of the best Greek Salad's of my life!!! As good as the food was, what was even better than all of the food and shopping was the wonderful convo I got to share with this Lovely Lady! Kesha and Angie were both amazing women, and such an encouragement! It's awesome to build one another up! How beautiful is this view just outside of the cafe, and how beautiful is Kesha!?! 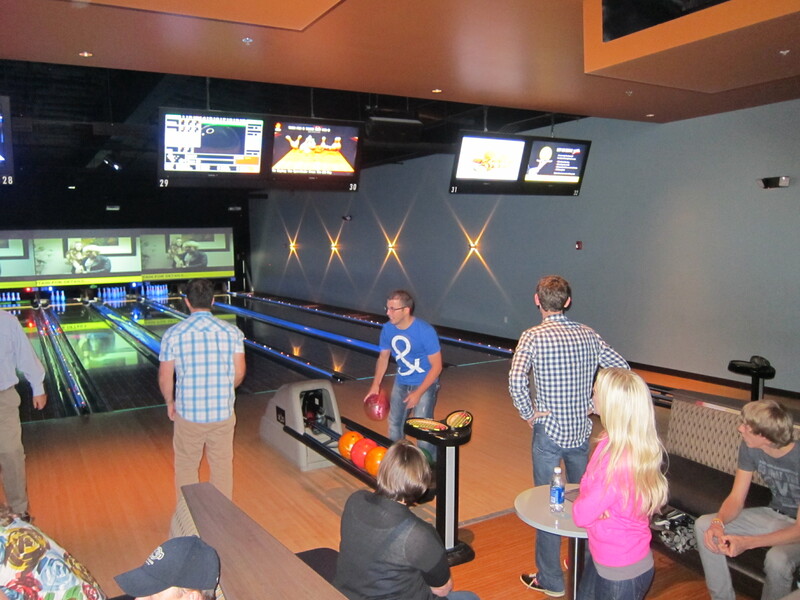 We got to hang out as a group (with the guys) at night, one of which we spent bowling! 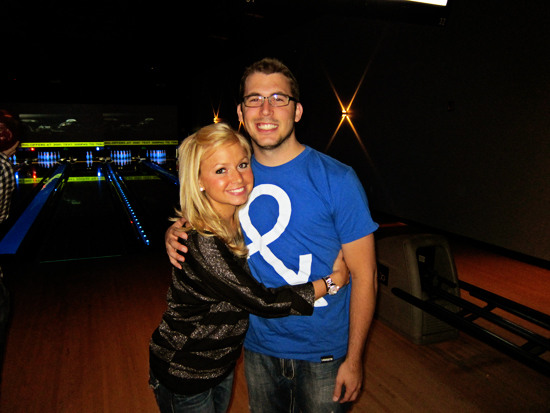 It was a blast, and quite the beautiful bowling alley I must say! I totally stink at bowling, in fact...I'm not ashamed to admit I bowl the 'grandma' way. In fact, I love it because it gets everyone laughing and having a good time right off the bat! 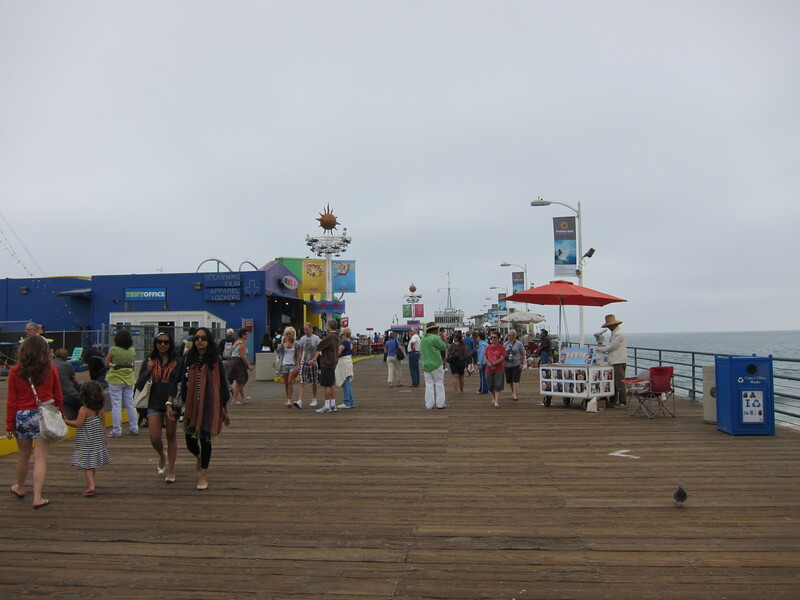 On the last day, we went to the Santa Monica Pier! 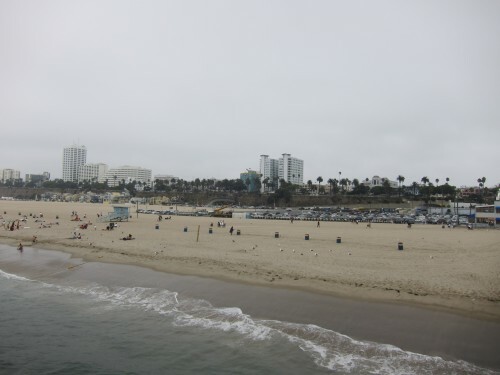 It was disappointing because the weather was pretty bad on the day we planned to go to the beach, but we still had fun going out to eat, and just hanging out! 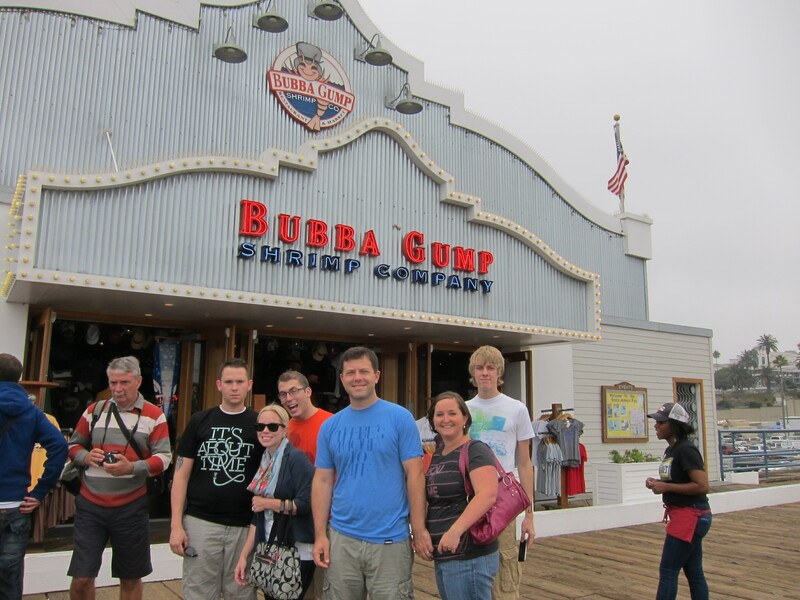 We went to Bubba Gump Shrimp for lunch, which had a really fun atmosphere! 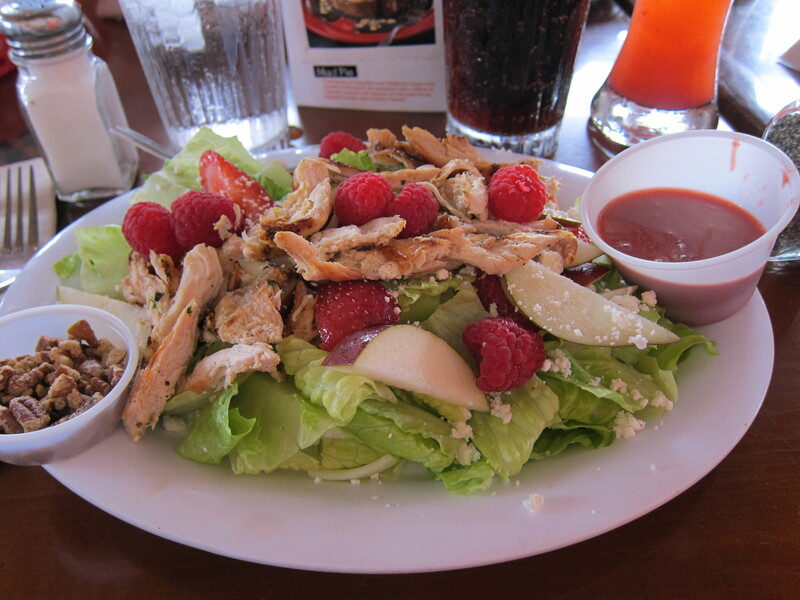 My salad was pretty rockin' ...It was loaded with fruit and feta, the perfect combo of sweet and salty in my opinion! 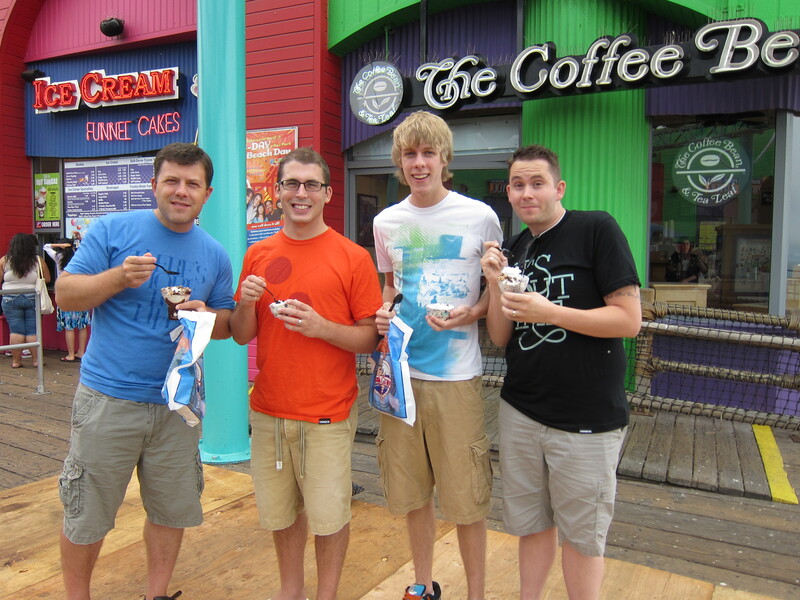 We went to The Coffee Bean and Dippin Dots for dessert! 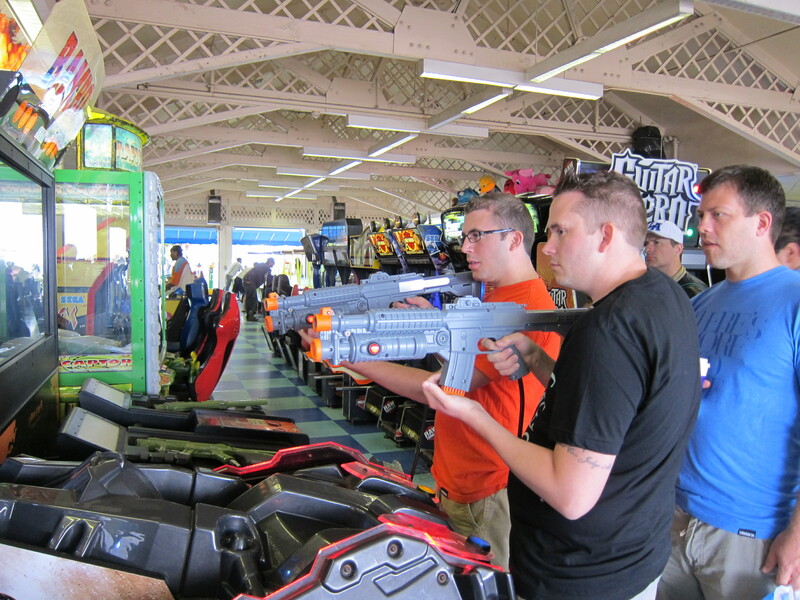 We finished the day at the Arcade on the Pier...This further convinced me that boys will always be boys! 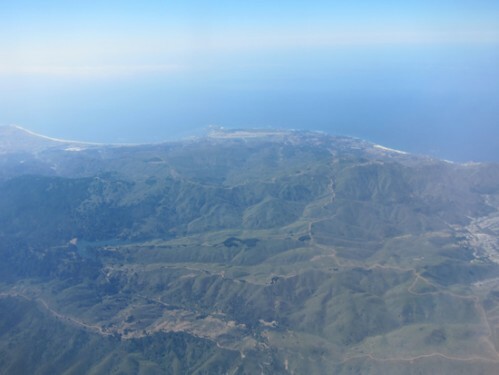 The next day we woke up bright and early to say goodbye to the beautiful sunny state~ California! Back to Michigan we come...Although, I have to say, we do have a beautiful fall season that I wouldn't trade for anything!